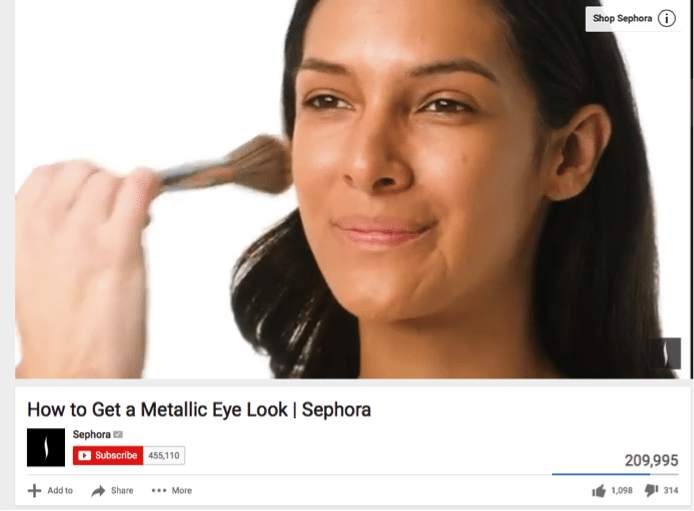 Which Beauty Brands Made YouTube More Beautiful in 2015? Beauty Brands on YouTube: Which Ones Made 2015 More Beautiful? YouTube has more than a billion users and reaches more 18–49-year-olds than any cable network in the U.S. It’s a gold mine for brands, especially since video marketing can greatly enhance search engine optimization and overall web presence, increase brand awareness and build relationships with fans who are eager to consume valuable content. The home page of the channel: Is there something here that piques my interest? What can I learn about the brand from its “front page”? Type of video content on the channel: Are the videos just a rehashing of TV broadcast spots, or do they share longer-form web content that I can easily engage with? Overall messaging: What are the main takeaways? Is it clear how they want me to feel and think about their brand? Exclusive content: Do they offer exclusive content that makes me feel like an insider? 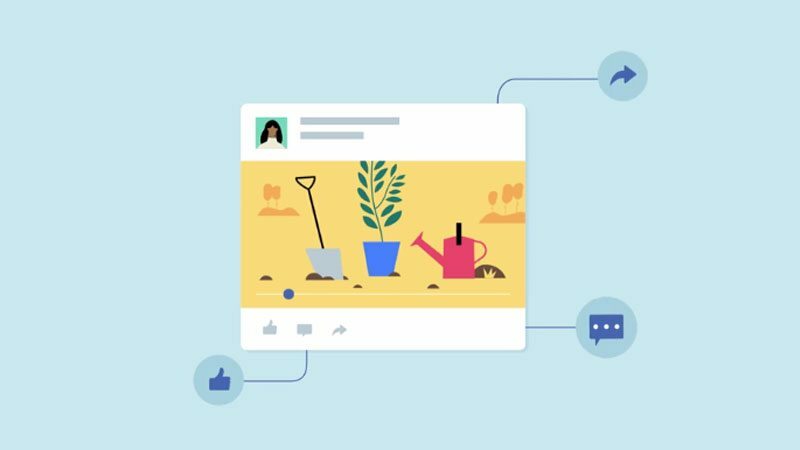 Video meta data: Are the video thumbnails appealing? Do videos feature informative copywriting in the description fields? Do they include strong calls to action? Conversion: Do they take advantage of interactive/shoppable opportunities? At the time I conducted my research, the main video featured on Revlon’s YouTube page was “Revlon Love Test: Choose Love.” The video shows what happens when Revlon sends everyday women home with their products and asks them to stick to a prescribed beauty routine for a week. At the week’s end, the women were interviewed again to see what changed in relation to their self-esteem or personal relationships. 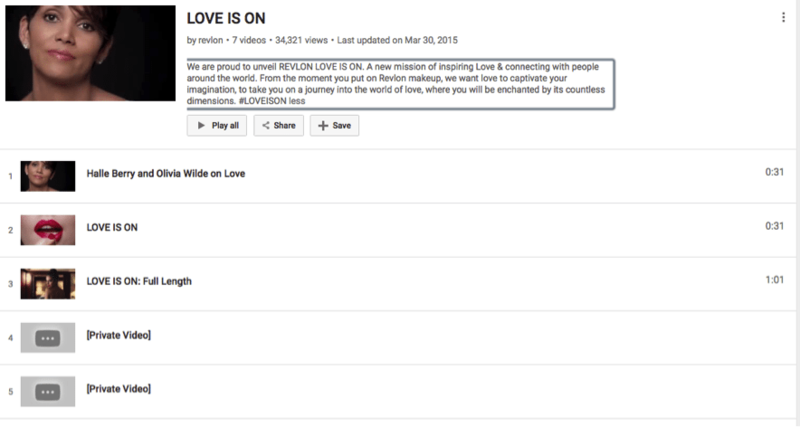 Below “Love Test,” the Revlon YouTube channel features videos about how the love test affected each of the women involved in the campaign. I love how the video thumbnails captured the women mid-sentence as they shared their real feelings. It feels more inviting and authentic than posed head shots, so I clicked to watch more. In the interviews, they asked the women about their favorite products and how those products made them feel. And here’s where I see a missed opportunity for Revlon to promote their brand and increase conversions: The women spoke candidly about their favorite products, but there wasn’t a way for me to find out more about the products they mentioned. No links to product pages, not even a list of official product names that I could search for on Revlon’s official website. If the goal of the video is to promote Revlon through stories about how the products can positively affect a woman’s outlook and her relationships, wouldn’t they want to empower all women to access this potential? How better to do that than by providing a list so the viewer can easily add these products to their beauty arsenal? Missing product information notwithstanding, I do like how Revlon’s brand messaging comes through loud and clear: These cosmetics can help you love yourself inside and out, which in turn will help you to love others better. That messaging remains clear not only through the #LoveTest series, but also through the videos featured in the playlist titled “Love Is On.” This video series centers around the brand’s mission to “captivate your imagination, to take you on a journey into the world of love” — a worthy sentiment. When I clicked the title of the playlist to find out more, I noticed two of the videos had been set to private, but not removed from the playlist. This irks me, because when I see [Private Video] it gives me the slight case of FOMO. Did I miss out on some great content here? What are they trying to hide? Between you and me, it’s not the best way to manage a YouTube playlist (plus, it looks jarring among a bunch of beautifully curated videos). Revlon’s brand messaging came through loud and clear on their YouTube channel, which featured original web content, not just a repackaging of TV commercials as other beauty brands tend to do. I liked that they focused on positive body image and self-confidence rather than “product promos that hit the consumer over the head with the buy, buy, buy” mentality. As Emily Morris, director of cultural insights at TruthCo writes, this type of advertising is what’s connecting most with millennials. However, Revlon could take this a step further by optimizing their content for conversions and include featured product information alongside the inspirational videos. When you land on the Estée Lauder YouTube channel, the featured video starring celebrity socialite Kendall Jenner promoting Estée Lauder’s Double Wear Makeup To Go starts to play. It’s a humorous take on millennials’ party habits and addiction to mobile devices, but doesn’t provide much information on the product. Marie Claire magazine said about the advert: “Kendall Jenner’s latest commercial seems to be about Mophies [case chargers],” rather than makeup, suggesting that perhaps Estée Lauder’s commercial could have been more focused on the product’s features, and I tend to agree. The accompanying copy description doesn’t provide a link to find out more or purchase the product. However, the description did include a blurb about the product, which helped fill in the gaps after watching the 30-second spot. Scrolling down, Estée Lauder’s video content is organized into helpful playlists. For example, the “Get the Look | Estée Lauder” playlist features bold makeup tutorials and pro tips. Content like this is extremely valuable to beauty consumers because it shows them how to get the best use out of the products. However, I do wish Estée Lauder listed the products used and links to the purchase pages. Despite the fact that this playlist contained a lot of great, valuable content, the most recent upload to the playlist is more than a year old. Beauty and fashion trends change with the season, so it’s important to provide customers with fresh content they value on a regular basis. Leading with a humorous video that features one of todays hottest celebrities is a great way to grab the viewers’ attention so they watch the video through to the end. However, it’s a risky move to not include links to the product page, especially when the video focuses on anything but the product and its features. Makeup tutorials and pro tips are a great way for a beauty brand to engage consumers with its products. Doing so provides valuable content customers can come back for any time they like. To ensure that consumers do keep coming back for more, it’s important to update the channel with fresh content that’s valuable to the audience. 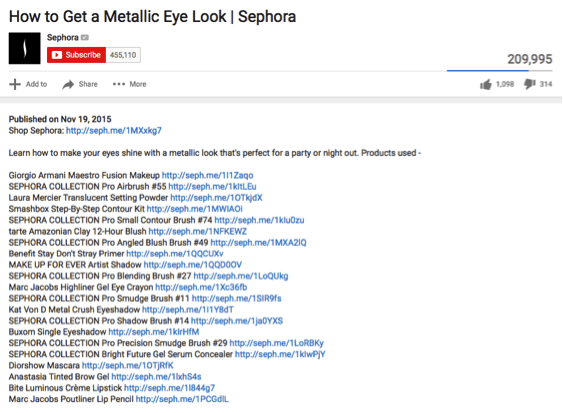 When I first visited the Sephora YouTube channel, I was surprised to find that the featured video was about a brand experience rather than a specific product. “Let’s Beauty Together” features a beautiful and diverse cast of women promoting Sephora’s in-store makeover experience, which provides a personalized beauty solution to all women regardless of their skin tone. Sephora’s playlists include beauty tips from experts, which offer videos based on facial feature or product type (like brows, contouring and nails). After watching a few of these how-to’s and the main video about the Sephora makeover experience, I got a sense that Sephora maintains a very confident, knowledgeable voice in the industry. It was easy to see that consumers trust this brand to provide them with valuable content. Clicking on the button leads to an image of the product and a direct link to the purchase page on their website. Making this information easily accessible to the consumer (without hitting them over the head with it) is a smart move – there’s no need to do extra digging or researching on Sephora’s other social platforms to find the products featured in a video. 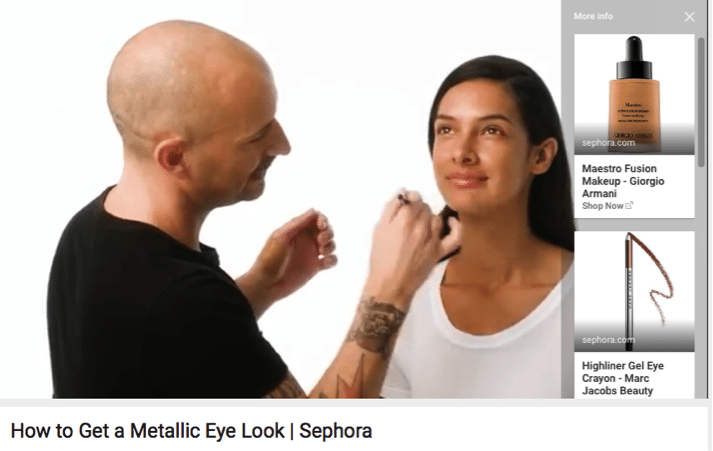 Best of all, the strategy has had excellent results so far: Sephora reported more than 54 percent lift in ad recall with the shoppable video cards. Sephora’s confident brand voice and their valuable tips and tutorials engage with consumers and build their trust for the brand. 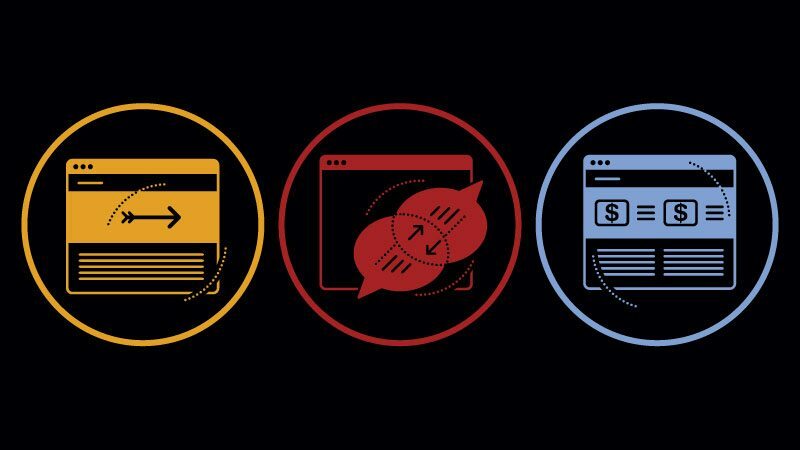 Including a list of the products featured in a video and including shoppable links within the description copy and the video itself provides consumers with the information they need, if they choose to use it. Other beauty brands would do well to take a page out Sephora’s book because this kind of interactivity provides ample opportunity for conversions that can pay off—literally. YouTube is a great marketing platform for beauty brands that want to show their products to a huge and mostly younger-skewing audience. But to get the most out of the social channel, brands should explore content that works best. The key to success is staying true to their brand voice, featuring exclusive and valuable web content, incorporating strong copywriting and calls to action. 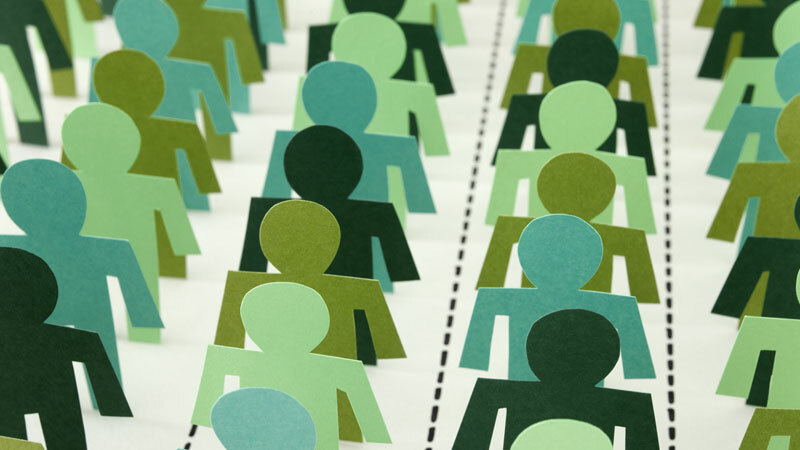 What works for one brand might not work for another, so it’s important to find the type of content that engages their fans and builds consumers’ trust.